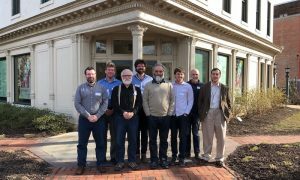 The JSON-LD Working Group met in person in Washington D.C. in early February, and came to consensus on many of the open issues and requests for enhancement. While standards work is never done, it is clear that a great amount of progress has been made since the group’s charter was approved. This led to the decision to freeze the list of features being considered for the 1.1 specifications, two weeks after the next public working draft is available. This is anticipated in the next two weeks, and hence no requests for additional functionality (as opposed to issues with existing functionality) will be considered from the middle of April, 2019. It is, therefore, important to get any issues onto our radar as soon as possible in our github repository, for them to be included in the current phase of work. Work has taken place in the group around features being requested from other W3C groups, and also to ensure that our decisions are in keeping with existing best practices and thinking around the consortium. In particular, the Verifiable Claims group have been a constant source of inspiration and important functionality in the area of ensuring that JSON developers with no knowledge of the underlying graph model can be productive, one of the core missions of the JSON-LD effort. We also worked with the Web of Things WG to ensure that their use cases could bet met. Finally, following from the shared discussions at TPAC in Lyon, we worked with the TAG to ensure that expectations around JSON-LD embedded within HTML documents were being met, and were intuitive given that much broader context. The intent of the WG is to move into Candidate Recommendation before the end of summer, 2019. Given the number of issues that have still to be resolved, we consider this to be very achievable, and will set up our discussions in Japan to focus on horizontal review, engagement with other groups and non-normative documents instead of coming to consensus around technical issues. The group would like to extend their heartfelt thanks to the TAG, and the Verifiable Claims and Web of Things working groups, for their productive engagement with our joint issues. It is heartening to see that focused, technical groups can quickly align in thinking and action, and is a testament to the W3C’s attention to internal culture and process. We would also like to thank the Folger Shakespeare Library for their kind hosting at the last minute, due our original hosts needing to cancel because of challenges caused by the US government shutdown. 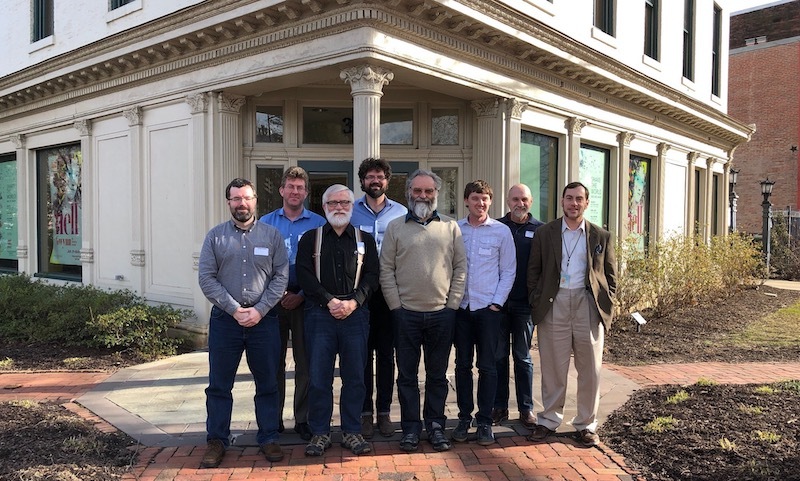 Face to Face meeting of the W3C JSON-LD Group, February 6-7, Washington D.C.
From left to right: David Lehn, Robert Sanderson, Harold Solbrig, David Newbury, Ivan Herman, Jeff Mixter, Gregg Kellogg, Adam Soroka.